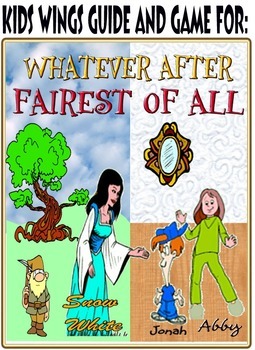 Whatever After: Fairest of All by Sarah Mlynowski, A Fairy Tale Spin-off! 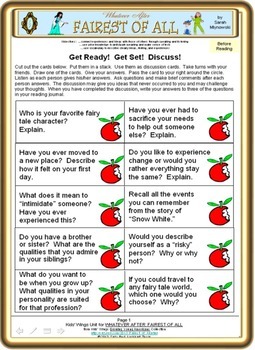 The story is written with widely space lines and a vocabulary that is more fun than challenge. 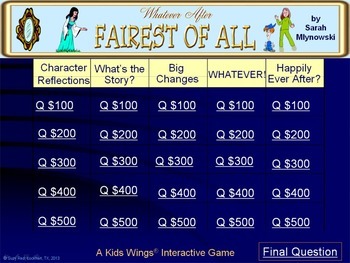 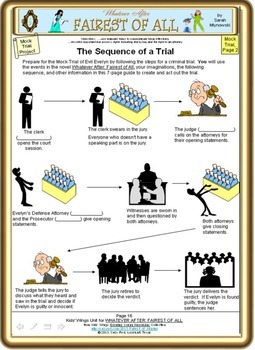 The Kids Wings unit will help extend the fun and punctuate the skills (don't tell the kids) and the 53-slide Jeopardy-type game for a conclusion provide a competitive ending!